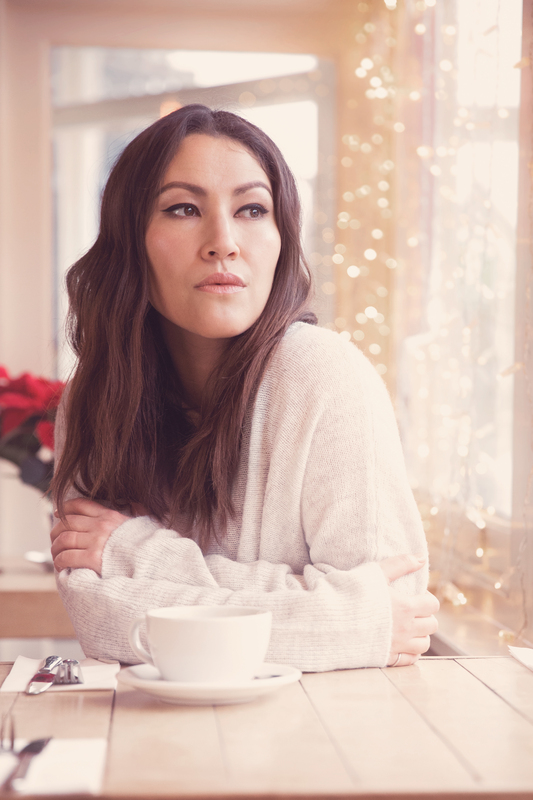 Starting out with no training, no connections and no idea what she was doing, actress Eleanor Matsuura now has an incredible success story to tell. The Hertfordshire-raised actress recently starred in BBC drama Cuffs and you may have seen her this summer in blockbuster Spooks alongside Kit Harington. Eleanor has a positive life lesson for us all – anything is possible with hard work and determination. Here Eleanor, 32, talks to List for Life about why actors never like auditioning, why white people should stop dominating the stage and the screen and why trailblazer women should inspire us all. I trained at the Royal Central School of Speech and Drama. I’m lucky my family have always supported me but I knew nothing of the industry, I had no connections and I had no idea how to begin. Going to drama school was the best thing I could have done. It’s a safe place where for three years I could try things out and fail and fail again which was the best way to learn. It was there I met my agent and I started to audition and I began to get work but for the first few years I still had a waitressing job too. My first TV job was on Holby City where I played a long suffering mother of three who was delirious from chemical poisoning, of course. I stood in the lunch queue of the canteen at Elstree Studios and June Brown was behind me getting a cup of tea and I thought, is this it? Can I call myself an actress now? Over the next few years the work became more frequent and the parts got bigger and I would dart between TV and theatre. Nothing can really prepare you for the reality of being an actor, it’s something you must learn by doing, you have to experience it for yourself. You’re journey will never be straight forward, nor the same as any other actors, but that’s also part of the joy. 2. What would your advice be to aspiring actors and actresses? If you really want to do it then work hard and persevere; don’t ever give up. This business is incredibly difficult and you have to really love it because there will be a lot of heartache and rejection. You must have faith that it is truly what you want to do to. Never stop being curious. Drama schools are incredible places, I would encourage anyone to go. Above all else it gave me confidence and a sense of community. 3. How did you make the transition from stage to TV work? I have been so fortunate in that I have always managed to work in both areas. I would love to say that’s been a conscious choice but really I just went where the work was offered. I’m much more selective now, back then I just wanted to be a jobbing actress, now it’s become important to me that the women I play are interesting and complex. Theatre was always where I felt more at home because that’s where I started out but I was always fascinated with film and TV. Taking a small role here and there in TV and film allowed me to learn how life on a set works and what’s required of you as an actor in that environment. Creatively, TV and theatre are such different beasts, and they demand different things from you. I love theatre for its discipline, for the energy you must have to tell the story fresh every night and the satisfaction that brings. It’s food for the soul. It demands that you are constantly curious and it’s wonderful to feel part of a company. If you can find that camaraderie on a set it’s a beautiful thing. Sets can be hectic, you have to conserve your energy and focus as there can be a lot of waiting around. If you are lucky and have a supportive creative team around you it can be a lot of fun. 4. What are your tips for auditioning? I don’t know one single actor who enjoys the process of auditioning! It is however an unfortunate necessity and one you simply must bear in this industry. I still get incredibly nervous especially when it is a project I would really love to do, so I need to take some steps to make sure I feel as confident as I can be. For me that means being as prepared as possible, I need to understand what I’m talking about and I learn the lines if I can. After that hard work is done I try and forget about it and move on. I have become rather fatalistic about work, I believe everything happens for a reason. It’s important to remember that it’s never personal. If the job is meant to be yours, it will be. Cuffs is a police drama following the lives of 8 characters who live and work in Brighton. The idea was conceived by the wonderful writer Julie Geary and is an often funny, sometimes moving and very candid look at these characters who excel at their jobs in the Police Force but are perhaps less assured in their personal lives. I play PC Donna Prager, a response officer. She is tenacious and tough and has a big heart. She adores her work and loves her girlfriend and home life too, though sometimes she is torn between both these things she loves most. I had the best time filming this show and fell in love with my cast who are the most talented and brilliant actors. 6. Do you think that the film industry is diverse enough? No, absolutely not! We are beginning to have the right kinds of conversations but we still have a long, long way to go. Of course this isn’t just about actors getting parts, It reaches every area of the industry, it’s all connected. I think back to when I was auditioning for drama school, I was told that there are more places for men because there are more demands for them in the industry because there are simply more parts for them. As brutally true as that may be, I can’t help but feel sad that this idea was being perpetuated and planted among us from such an early stage. We need to encourage young creatives, urge them to forge new and exciting projects and break the old rules. We should point them towards trail blazers for inspiration like Cate Blanchett who aside from being a busy and brilliant film actress is also the Artistic Director of the Sydney Theatre Company. Or Jennifer Lawrence leading the largest grossing and most successful films at the box office for two years running. Or Maxine Peake playing Hamlet at the Royal Exchange Theatre in 2014. And of course, this is only me talking about women. 7. What do you think of the term ‘diversity’? Even the term ‘diversity’ has become this huge umbrella statement for so many important, individual and complex issues that need to be addressed in their own right such as race, class, gender, sexuality, age and disability. Imagine if we had more Artistic Directors who are women, more producers who are black or writers who are East Asian? These influences are important, we have to be visible in all areas of the work. Quotas will help. And using our imagination. There’s a brilliant company called ActForChange and they are striving for equality and representation in the industry. To become the change we want to see we have to continue to have the conversations, make noise and strive to facilitate each other. 8. Recently there has been a lot of press about white people getting the vast majority of all roles, what do you think about that? I think it’s really sad. At the very least it’s outdated and at it’s worst it’s dangerous. Let’s stop pretending that’s just ‘how it is’ and invest in work that is relevant. The truth is to implement these changes isn’t difficult, it’s not rocket science. We need to be more imaginative with casting and the choices of work we decide to make. 9. How have you dealt with these issues? Being a rather tall, half British, half Japanese woman means I don’t often fit into the preconceived stereotypes. I’ve always looked a bit different. And I’ve been fortunate; each time someone takes a chance on you and gives you a role, you’re given an opportunity to learn and become better at your job. These opportunities shouldn’t be limited to a select, elite few.